Is everyone ready for Christmas? To tell you the truth, I’m not. This year, I am way behind the shopping and all the other things that I need to do before Christmas. The only thing I was able to do last weekend was to at least take the fall décor down and put the Christmas décor up. I am waiting for my kids to arrive so we can all decorate the tree. But enough about my procrastination! 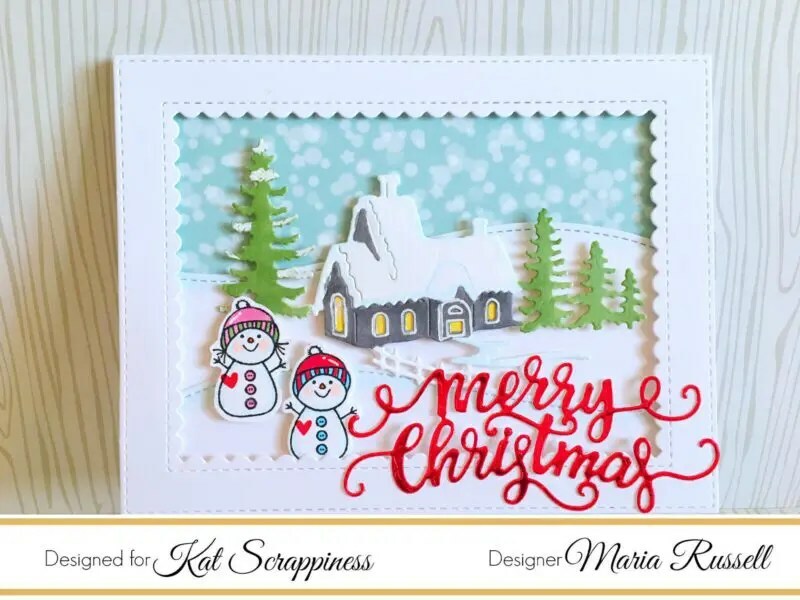 I was listening to some Christmas music today and got inspired to create this Winter Scene Christmas card, showcasing the Winter House Scene Die and Merry Christmas script die by Gina Marie Designs, available at Kat Scrappiness. This die is a must-have! You can easily mass-produce the card below. I promise you, it’s really easy. Please watch the process video below to see how I made the card. I hope you got inspired today. Supplies are listed and linked below in case you are interested to purchase them.